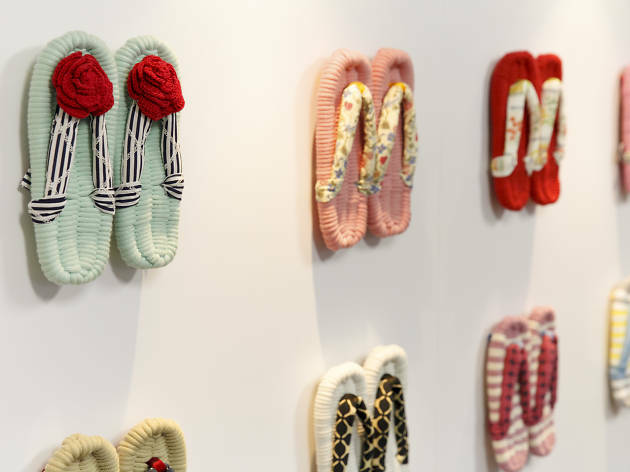 A brand of knitted zori (Japanese-style sandals) for wearing indoors, Meri has taken this traditional style of footwear and turned it into a unique combination of softness, the comfort of knitted materials and adorable Nordic designs. Especially handy (or footy?) when it's cold, their handmade products come with motifs like Mt Fuji or red flowers and make for great presents. They also hold sandal-making workshops four times per month (on the second and fourth Tuesdays and Saturdays).